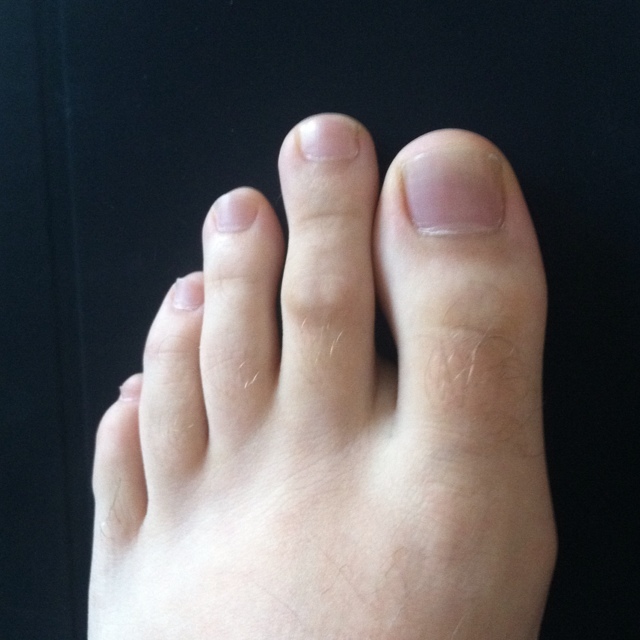 In today’s blog I thought I’d talk about one of the most common conditions I see as a Podiatrist – the long second toe – aka Morton’s Foot or Morton’s Toe. Although I hear my share of foot myths, I think this topic probably takes 1st place for the most creative misconceptions around foot function. From “you can trip over a Morton’s Toe” to “Morton’s Toe causes you to twist out of your push-off” – I think it’s time we put some clarity on this topic! What is Morton’s Foot or Morton’s Toe? A Morton’s Toe is a long second toe, relative to the great toe. 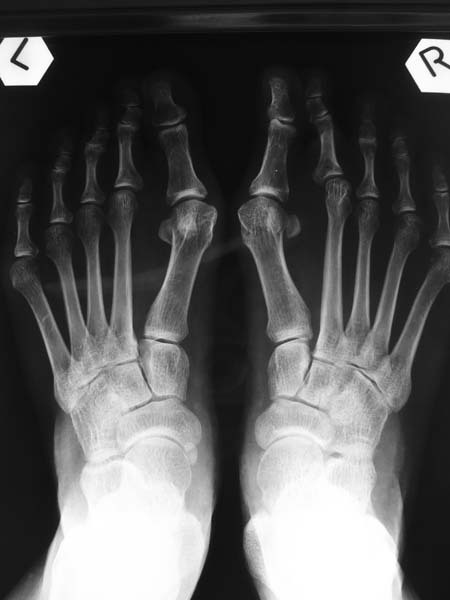 This long 2nd toe is actually not caused by the toe being long – but rather the metatarsal bone being long. 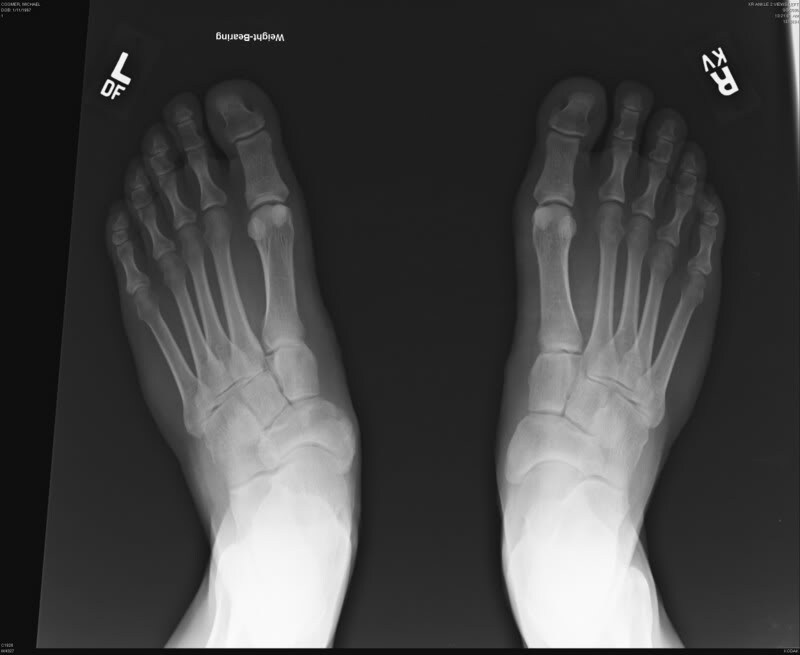 If we look at a foot Xray there is what is referred to as a metatarsal parabola. The normal metatarsal parabola is 2nd metatarsal longest, followed by the 1st and 3rd metatarsal, then 4th and 5th. In a Morton’s Foot, the Xray may look more like below. Note the large difference between the 2nd metatarsal length and the 1st metatarsal length. When we consider the biomechanical impact of having a long 2nd toe (or rather a long 2nd metatarsal), we need to think about forces going through the foot. It is the transfer of forces and distribution of these forces that relates to proper foot function. Any shift in pressure or forces and you get foot pain and dysfunction. 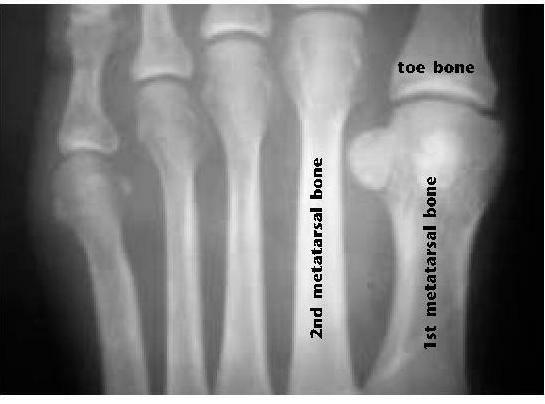 When we have an excessively long 2nd metatarsal (relative to the 1st metatarsal) there are increased forces going through the 2nd metatarsal and 2nd metatarsal phalangeal joint (MPJ). It’s important to mention that the 2nd metatarsal and 2nd MPJ take the highest forces anyways in the foot (as it is the midline of the foot) however the presence of a Morton’s Foot increases these forces even more. This means that the client is susceptible to stress fractures of the 2nd metatarsal (think about your runners!) as well as to 2nd MPJ sprains / capsulitis. When we have a longer 2nd toe but fit our shoes to the length of the great toe, we are obviously going to experience jamming of the 2nd digit into the end of the shoe. Hammering of the 2nd digit causes what is called retrograde pressure or forces that transmit straight down to the just under the 2nd metatarsal head. 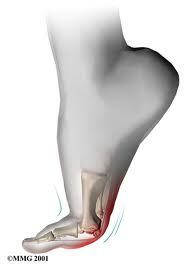 This can be very painful especially if clients also have a callus under the ball of the foot. Remember that calluses form as a direct relation to pressure or excess forces. As the hammering of the 2nd digit continues to increase, so does the retrograde pressure to the 2nd MPJ. There is a secondary inflammatory response and injury that can occur to the ligament, aka plantar plate, of the 2nd MPJ. The plantar plate is the structure that is the primary stabilizer of the 2nd MPJ. As this plantar plate continues to get stressed it can eventually tear leading to instability in the 2nd MPJ and the toe begin to lose purchase or contact with the ground. This dorsal subluxation or drift of the 2nd digit further increases the retrograde pressure as described above. Eventually the pain can be so great that the client requires injections or surgery. So what can you do as a health and fitness professional working with a client or athlete who has Morton’s Foot? I think the first step is to understand the impact of this foot type and to know that it does not cause them to “trip” or “twist out of their push-off” but rather will alter their force distribution. Since these clients are susceptible to 2nd MPJ sprains and instability you can preemptively help stabilize the joint by buddy splinting the 2nd to the 3rd digit. I often recommend this to my patients we are experiencing early symptoms of 2nd MPJ instability and are runners, do a lot of yoga, wear high heels etc. Since jamming of the 2nd toe in footwear is one of the biggest causes of hammering and retrograde pressure in the Morton’s Foot, guide your client to properly fitted shoes. Size shoes to the 2nd digit if possible and if excessive sliding occurs use lambs wool at the front of the shoe to make up for the size difference. If the client is experiencing pain under the metatarsal head, U-pads or orthotics with dispersion pads in them are a great option. Outside of surgery the only way to shift forces going through the foot is really only through paddings and inserts. I have made dispersions pads for my barefoot-friendly patients which can easily go onto their foot or into their minimal footwear. Greetings from New York City! 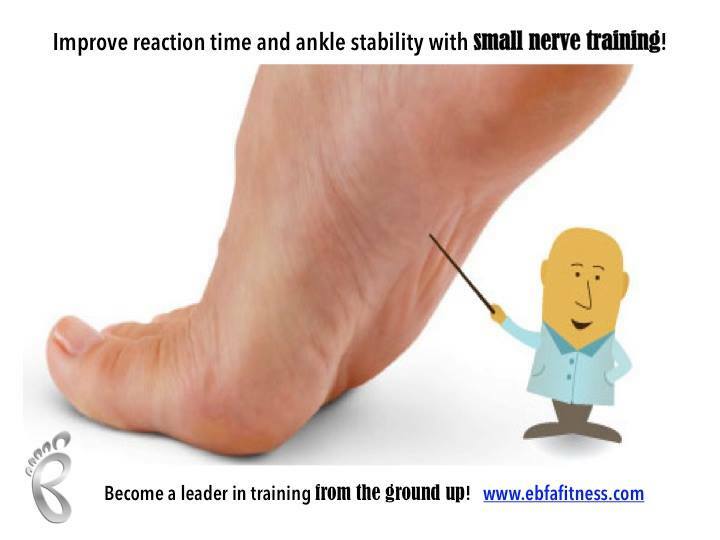 This week’s post I wanted to share a topic that is of great interest to me– barefoot training for ankle instability. Every month I like to check out the newest issues of my favorite exercise science, sports medicine and Podiatry journals. During my reading, I came across an interesting article on the chronic ankle instability and plantar cutaneous feedback. Ankle sprains are one of the most common injuries in the physically active – and one of the most common foot & ankle related injuries treated in an emergency room setting. 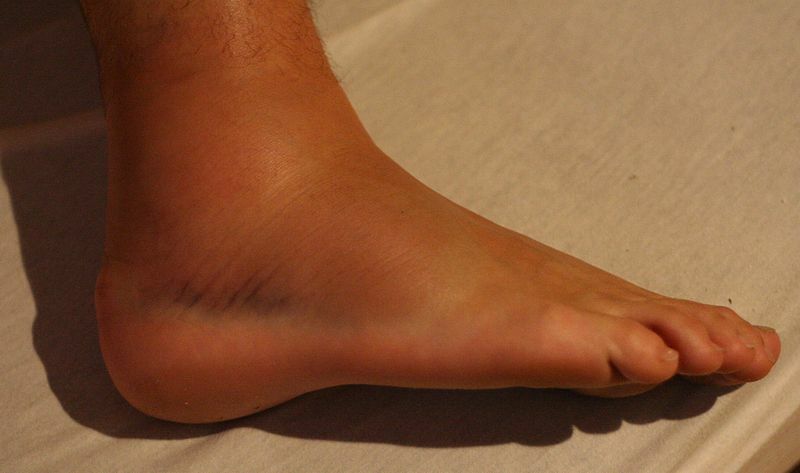 It is estimated that up to 70% of individuals who experience an ankle sprain have residual symptoms including instability or recurrent sprains (Hoch 2012). This persistent instability is referred to as chronic ankle instability. To date, most research has focused on the residual impairment within the proprioceptors of the musculotendinous junction, ligaments and joint capsule. In response to this research, most CAI treatment programs include your standard perineal strengthening, wobble board training and instability training in general. But does this effectively address the residual instability and risk of re-injury observed in patients and clients suffering with CAI? An important source of somatosensory information in ankle stability is the plantar cutaneous receptors of our feet. Because our feet are the primary interface between the body and the environment, it is only logical that they would play a critical role in upright balance and stability. An interesting study done in 2002 demonstrated that there was a loss in postural control and gait when the plantar cutaneous foot was anesthetized (Liu 2002). Although completely anesthetizing the bottom of the foot is a bit extreme compared to normal functional cutaneous feedback, it does support the association between the sensory input from the bottom of the foot and postural stability. The 2012 study by Hoch et al. found that those subjects with CAI not only had impaired proprioceptive feedback at the joint level – but also as it relates to the skin on the bottom of the foot. Patients with ankle instability had delay in cutaneous response! Hoch et al. found that he greatest cutaneous impairment in subjects with ankle sprains were between 10 Hz and 50 Hz which correlates with specific plantar mechanoreceptors such as: Ruffini organs (skin stretch), Merkel disks (texture perception), and Meissner corpuscles (light touch). If plantar cutaneous receptor sensitivity is so significantly impaired in those with CAI, wouldn’t a more effective proprioceptive training integrate stimulation of the plantar cutaneous receptors? How can you apply this research? When I get a patient in my office that has either an acute ankle sprain or CAI, it is my goal to integrate the latest in evidence-based treatment programs. ankle taping in non-elastic athletic tape (skin stretch). I want to take advantage of the low Hz mechanoreceptors which will increase the sensitivity of the plantar foot and ultimately speed the reaction time. You too as a health & fitness professional can apply this research by integrating barefoot proprioceptive training into your client or athlete’s program. Try to avoid foam training modalities as these actually block cutaneous proprioceptive input. Hoch, M. et al. Plantar vibrotactile detection deficits in adults with chronic ankle instability. Med & Science in Sports & Exercise, 2012. 44(4): 666-672. Liu, W. et al. Noise enhanced vibrotactile sensitivity in older adults, patients with stroke and patients with diabetic neuropathy. Arch Phys Med Rehab, 2002. 83 (2): 171-6. Welcome to another installment of EBFA’s Blog Series: Foot Function and Fascial Lines. This series of articles explores the fascial integration between the foot and the rest of the body. We will show you that these fascial integrations are more complex that you think and expand beyond simple slings and lines. This week’s article is dedicated to fascial integration with the sesamoid bones of the great toe joint – and how this influences our ability to engage foot intrinsics, build a strong foot foundation and stabilize the pelvis proximally during gait. Situated directly under the head of the first metatarsal you will find two small, oval bones. These two bones are referred to as sesamoids and actually lie within the tendons of the flexor hallucis brevis (FHB) muscle. Acting much like the patella, the sesamoids functionally create a fulcrum to provide a mechanical advantage to the FHB during the propulsive phase of gait. As we shift from Late Midstance to Terminal Stance, the FHB engages to stabilize the great toe (and 1st MPJ) against the ground allowing us to push-off in the sagittal plane. Of course we need to take this one step further as 1st MPJ stability is not only observed in the sagittal plane but also the transverse (and frontal) plane. To stabilize the great toe in the transverse plane we have to look even closer at the tendons of the FHB. Closer examination of the FHB and the 1st MPJ demonstrates that there is an integrated relationship between the FHB and the abductor hallucis and adductor hallucis muscles – both transverse plane muscles. Situated on the medial aspect of the FHB we find the abductor hallucis muscle (think short foot!) whose tendon actually joins that of the FHB (medial tendon) forming a conjoined tendon (or one tendon). On the lateral side of the FHB we find the adductor hallucis muscle which is formed by both an oblique head (which originates from the peroneus longus tendon) and a transverse head. Together these two heads of the adductor hallucis join the lateral tendon of the FHB as it inserts onto the proximal phalynx. So this means that we have a conjoined tendon between the abductor hallucis and FHB – as well as a conjoined tendon between the adductor hallucis and the FHB. This medial / lateral balance between the abductor hallucis and the adductor hallucis muscle provides the transverse plane stability of the great toe and FHB as we transition into push-off. Are you ready to review a complex fascial integration in the foot? 1. The adductor hallucis originates on the peroneus longus tendon (which is part of the lateral line and spiral line) and joins the FHB as a conjoined tendon. 2. The FHB has myofascial insertions from the posterior tibialis muscle (which is part of the deep front line) and joins the abductor hallucis as a conjoined tendon. 3. The abductor hallucis which is engaged during short foot exercise functionally picks up the navicular stimulating the posterior tibialis (deep front line) as well as the spiral line and lateral line as the posterior tibialis also has myofascial connections to the peroneus longus. 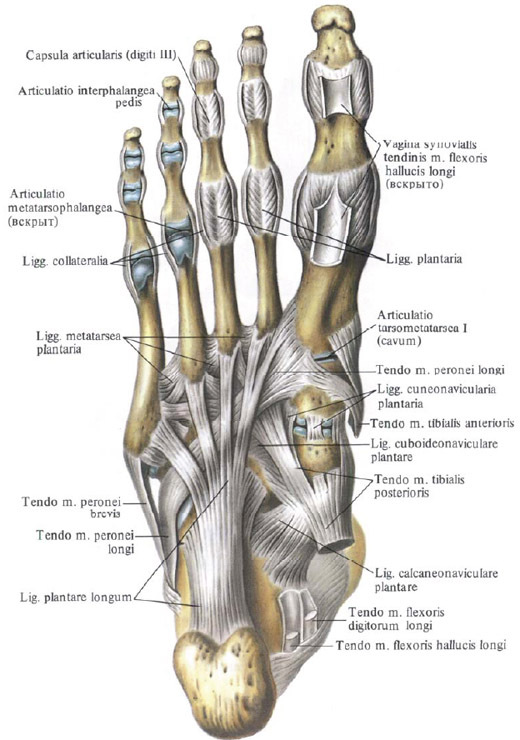 This complex myofascially integration of the foot with the rest of the body is all is the name of LOCOMOTION! So what do the sesamoids have to do with this? Well there is what’s referred to as sesamoid position. 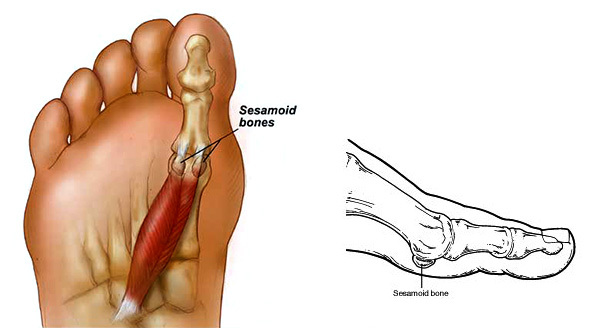 Sesamoid position is the transverse plane position of the sesamoids in relation to the midline of the first metatarsal. Centered sesamoids (see below) offer the perfect balance between the abductor hallucis and adductor hallucis, allowing proper push-off. In the case of bunions or deviation of the great toe what starts to happen is the sesamoid position shifts. When the sesamoids shift they begin to provide a mechanical advantage to the adductor hallucis muscle in the transverse plane (which is part of the pathomechanics behind bunion formation). As the sesamoids shift laterally they bring along the FHB tendons, as well as the abductor hallucis tendon. Eventually the abductor hallucis tendon rolls under the 1st metatarsal head, taking it out of the transverse plane and making it a sagittal plane muscle. How does this influence short foot? 2 Try the Bunion Bootie! Remember that even though the client may not feel the engagement of the abductor hallucis be patient. The more foot intrinsic strengthening is integrated into the client programming the more the motor neuron activation will follow.